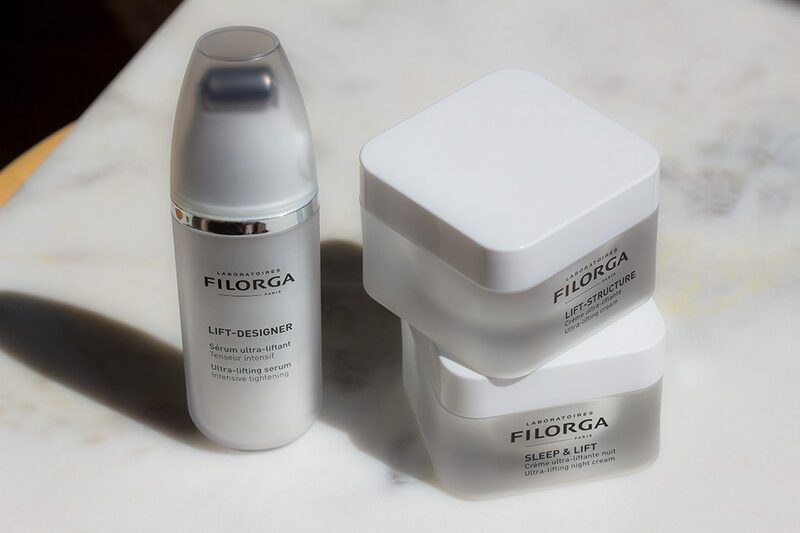 At the beginning of this year, FILORGA launched its new range called LIFT, which includes a serum, a day-cream and a night-cream. I was kindly invited to a very stylish press event where I had learned details about the powerful new formulas and after using the products for a few months, I’m ready to tell you what I think. “The ultimate programme for a visible lifting effect in just 7 days(1). 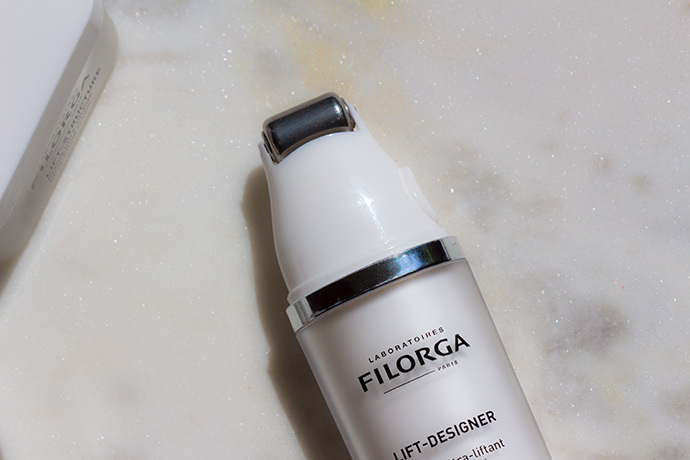 Surprising lift effectiveness [smoother features + redefined volumes]: Included in a cream for the first time, Plasmatic Lifting Factors® combines [Cell Factors + Collagen + Hyaluronic Acid] to visibly tighten the features, plump the skin and sculpt the face. 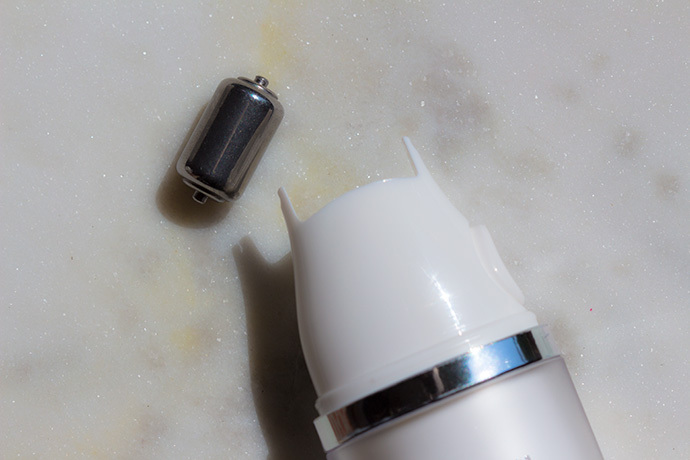 The serum comes in a tube equipped with a metal roller ball which is supposed to massage the face and contribute to the lifting effect of the serum. 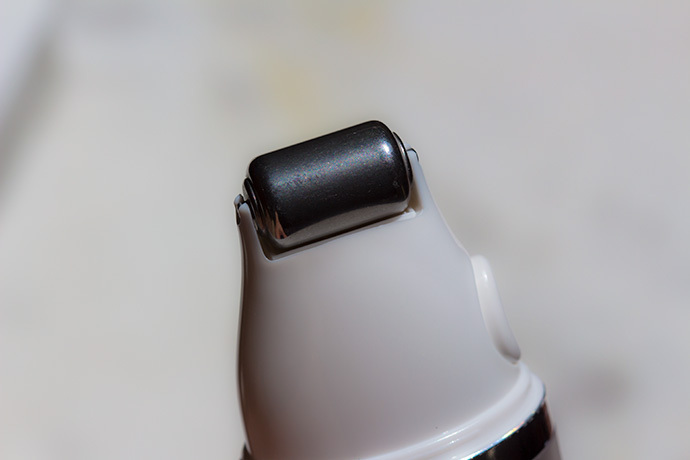 I like the fact that the applicator is very cool and so I press it around the eye area for a few seconds; whether that has an effect or not I don’t know because I don’t have the patience to massage anywhere else and the applicator kind of complicates the application for me. So, I just press the little button on its side to squeeze out the serum and then rub it into my face using my hands. The formula is light, refreshing and penetrates the epidermis completely and instantly. The fragrance is the same as in the majority of the brand’s products, a sweet-flowery perfume which dissipates immediately after application. It contains turmeric extract, an antioxidant with great anti-inflammatory properties; also, collagen and hyaluronic acid to help plump. Pullulan is responsible for the lifting effect; it is a film-forming agent that, when it dries on the skin, forms a breathable invisible ‘mesh’ that tightens and creates a temporary subtle lifting effect. In my case, the serum makes my skin look smooth, radiant and has a slight tightening effect, however I had to use the product more than 7 days in order to see the effects. Overall a good serum which is even more efficient when used in combination with the day/ night cream from the same range. A little goes a very long way, so the price-quality ratio is great. I recommend the serum to the 35+ ladies and gentlemen with normal, combination and dry skin (for those of you who deal with dry skin, you should combine the serum with a very rich cream; also, I don’t think it is suitable for very dry skin). “Surprising lift effectiveness [smoother features + redefined volumes]:Included in a cream for the first time, Plasmatic Lifting Factors® combines [Cell Factors + Collagen + Hyaluronic Acid] to visibly tighten the features, plump the skin and sculpt the face. The formula is creamy, dense and it penetrates completely and instantly without leaving any greasy film on the skin. It smells exactly like the serum. It tightens, slightly lifts the skin, it smoothes and plumps. I didn’t see any sculpting effects, and I don’t think a face cream has the capacity of offering this effect. 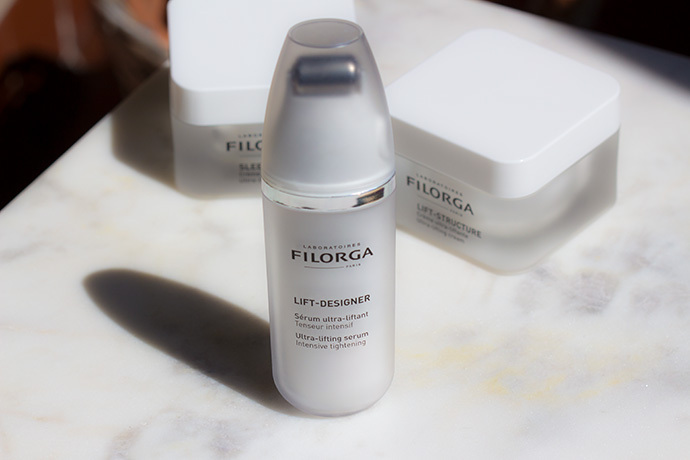 It is a great makeup base and I love to combine it with the FILORGA OIL-ABSOLUTE® (I recommend the combo especially for those of you who deal with dry and very dry skin). I recommend the cream to the 35+ ladies and gentlemen with normal, combination and dry skin. A little goes a very long way (the 50ml pot lasts longer than 6 months), so the price-quality ratio is great. 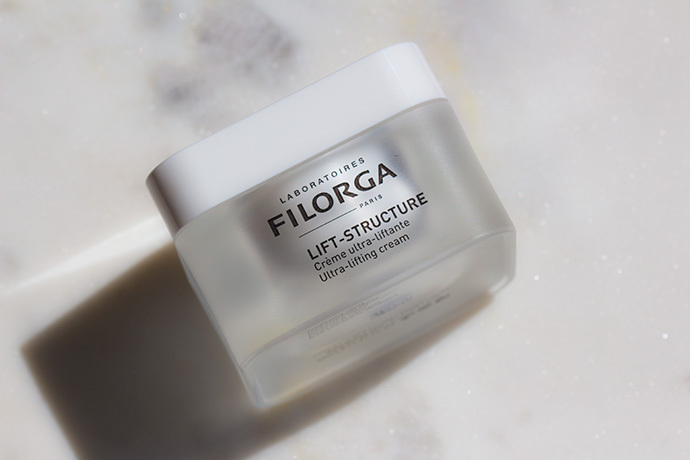 “Surprising lift effectiveness [smoother features + redefined volumes]: Included in a cream for the first time, Plasmatic Lifting Factors® combines [Cell Factors + Collagen + Hyaluronic Acid] to visibly tighten the features, plump the skin and sculpt the face.. This product is, in my opinion, the most efficient and the most powerful. When I wakeup in the morning, I see smooth, fresh and plump skin. 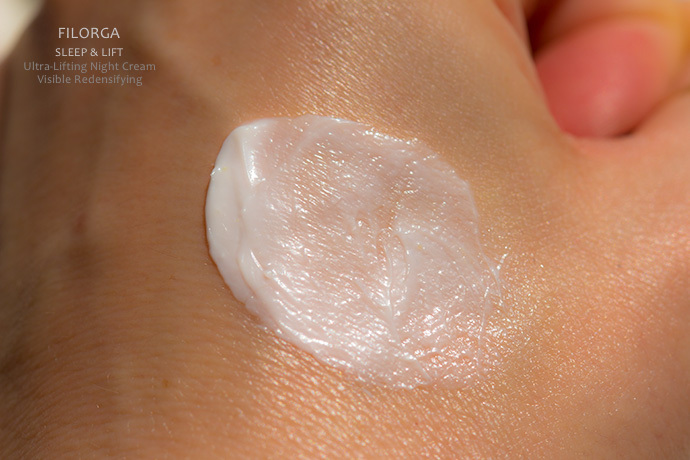 It’s more hydrating than the day-cream, yet the texture is light (identical to the day cream) and the product doesn’t leave any oily film at the surface of the skin. When my skin feels on the dryer side, I use the night cream during the day and make sure that I apply a foundation with high SPF on top of it. If you don’t have the budget to buy the complete range, I recommend that you choose the night cream. Fragrance is identical to the day-cream and serum. I like that you included the tip on which to buy if you couldn’t get the whole set. It’s really neat that the Lift-Designer comes with a roller! It keeps you from having to store too many accessories (like a whole separate roller). 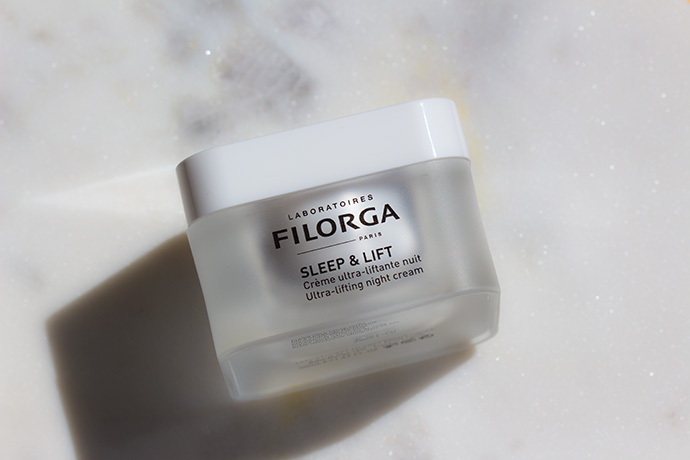 I really want to try the sleep and lift cream! Who doesn’t want things to work while you sleep!!! Sounds like a great product! Thank you for such a thorough review. I think I’ll have to get some now! I’d love to wake up with fresh skin! I am definitely in need of suggestions for revamping my skincare routine and these products sound nice, wouldn’t mind trying them out. I am always up for a good face cream and this one sounds amazing. I always try to put cream on at night and after being in the water. These look like great products. At some point everyone needs some help with their skin. Now I wouldn’t want to be the one to suggest to my lady friend though. I totally need to start looking into stuff like this. My skin is aging more and more with each year that passes. 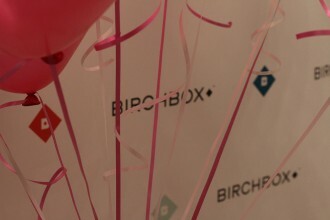 Such great products, Thank you for such a thorough recommendations based on your experience. I think I will buy some for my wife..loved going through your post. Looks interesting, would love to check and see if these products and this brand is considered clean and non toxic. This looks like it would be an amazing product. Turmeric is something that I already use for my skin and so this would be so beneficial. great review ! i love skin care products. its something i just now began to explore. after my pregnancy my skin changed completely and i enjoy keeping it nice and clear ! I enjoy reading about beauty products that can rejuvenate your skin. Keeping skin healthy and moisturize is key to keeping fresh youthful skin! First, I notice how sleek and luxurious looking the simple packaging. It is attractive! I am into skincare that will give me good result in terms of preventing signs of ageing. This is the first time I’ve heard of this brand and I think the product looks great! I need to try these!